OK so here is my ongoing project, a computer that you wear on your person/cyberdeck. to start with here's the component's I'm using thus far. Logitech K760 Solar Bluetooth Keyboard. So far I have successfully utilized it in both command line and graphical modes, though I use command line interface due to it being less of a distraction. as of 03-23-19 the device works in it's current state as a werable computer however I'm currently working on a better method for wearing it since carrying around the raspberry pi and battery pack in a satchel doesn't exactly work for mobility. Pictures coming when I get the chance to take them, my current plan is to integrate compartments into some custom clothes I can wear to better integrate the technology with my person. so here's a list of things I'd like to implement at some point. Infra red, thermal, and Standard optical modes for a camera based HUD instead of just the normal visual input. Satellite GPS Uplink/connection, for navigation while wearing the HUD. linking to drones/external modules/wireless tech that can connect to just about anything as a manual override/control unit. Thing's I'd like to implement but do not have the ability to at this time. expanding the computer with biosensors to help improve health monitoring etc. This here is the first console modding/hacking project I ever did, for a first try it was very difficult but it paid off and I ended up catching the modding bug afterward. To that end the controller ports are actually Proprietary USB 1.1 ports, the only difference is an extra yellow wire which is for timing signals. 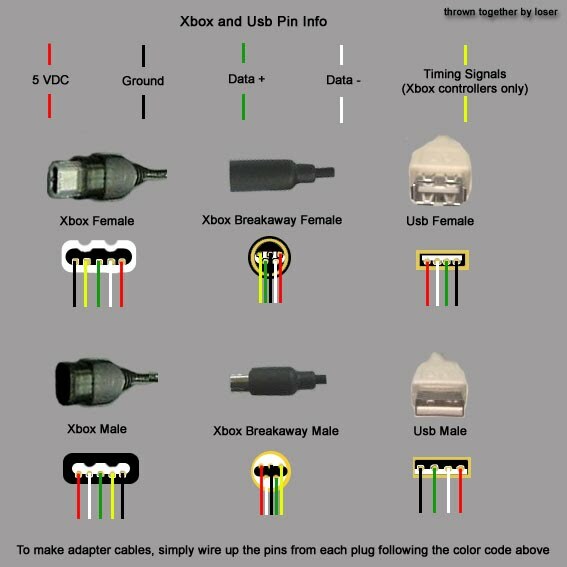 you can mod any section of cable, personally I prefer to modify the breakaway part of the controller cable because that basically functions as a PC adapter for any OG Xbox controller you want to use. this is probably one of the easiest mods you can possibly do, you don't even really need schematics however I'm going to post them anyway because there are a lot of potential modders out there who haven't done anyhting with USB, though it really is as simple as matching the wire colors and connecting them together. Simply put, connect each color to it's matching color on the oposite end of the cable you're making, black to black, white to white, and so on... solder each cable, and place either electrical tape or ideally Heat shrink Tubing over each wire lead as well as the whole bundle to ensure a strong connection. the next step in the process is to download the correct drivers for your Operating system. If you have windows 8 or newer it will recognize your controller as an Xbox 360 controller so you shouldn't have any issues. Believe it or not Linux has full support in it's generic Joystick drivers, and you can compile the linux drivers in OSX which is just plain awesome. Furthermore you can utilize the Linux drivers in any Unix type environment with USB ports just as long as you have all the dependencies for the joystick driver, Just remember to calibrate your joystick before use. as far as I know non Unix based and or windows based operating systems do not have an Xbox controller driver or if there is one it likely needs work. now as for why you might want to connect a USB flash drive to an Xbox controller port... well if you happen to be into modding stuff you can use it as an alternative way to softmod your xbox by loading a hacked save file onto the flash drive and then loading that save file into the requisite game. you can also use it to load full save files, back up your save files, and do all sorts of tricks like that to get the ball rolling. that being said however I think I should post a separate deal for Xbox soft modding and all the pro's and con's that come with it. so here's my first real project to put on here, and probably one of my most challenging. 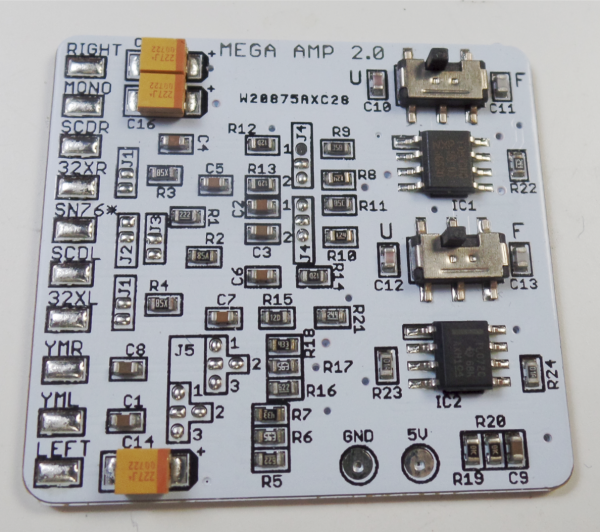 The Sega Genesis/Mega Drive Audio amp mod known as the mega amp. To install it there's a few tricks but mostly just keep in mind, for a sega genesis model 2 you'll need an earlier revision rather than a later one, this is because sega replaced a lot of the barel cappacitors with surface mount ones and this makes it a real pain in the ole exhaust port. A decent ammount of spare wire and or ribbon cable. Either a Circuit tester or a multi meter. You will need to follow the instructions listed here as this indicates what components to remove, then attach to the terminals closest to the lines shown in the image. finally you have 2 options for the +5 volt and Ground wires, you can either attach them as indicated in the first image or you can attach them to the voltage regulator. 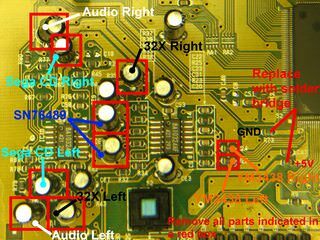 if you choose to do the latter there are 3 labeled pins on the board that you can solder to on the VR. I O G, Input, Output, Ground. attach 5V to Output, and ground to Ground. that's pretty much it, but the sound quality is significantly better, and much clearer without any distortion, and that's with the filter turned off! so go ahead, give it a go and if you have the patience for it it's worth the install. I'm going to keep this brief because while straight forward it's still fairly tedius. you're going to need the following. A wiring diagram/pin layout for the controller... or a multimeter and time to work it out for yourself. 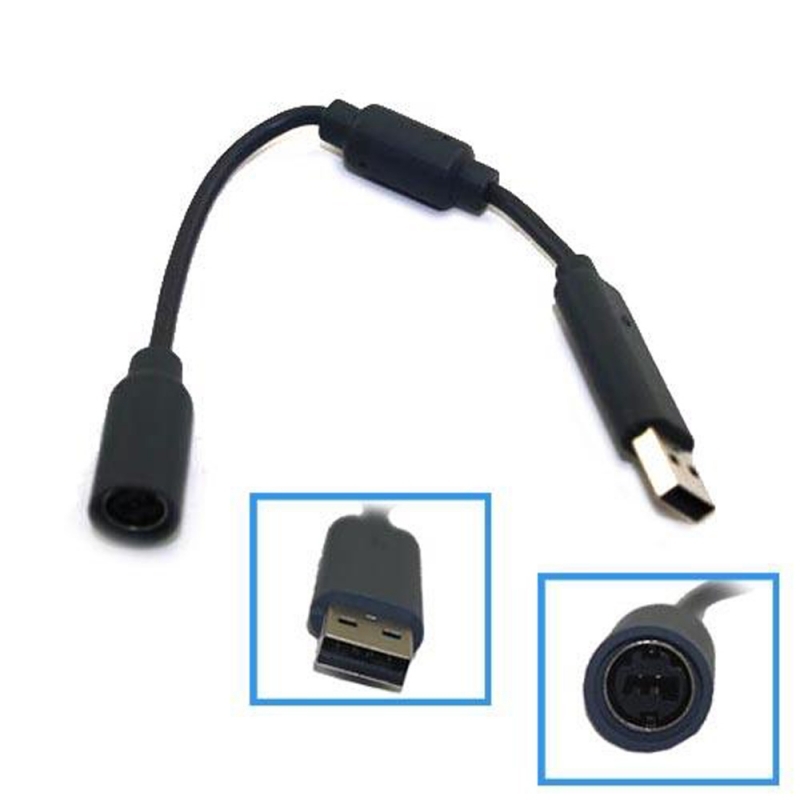 A parallel port cable or connector of the right type to connect to your computer. Electrical tape and or heat shrink wire sheath. 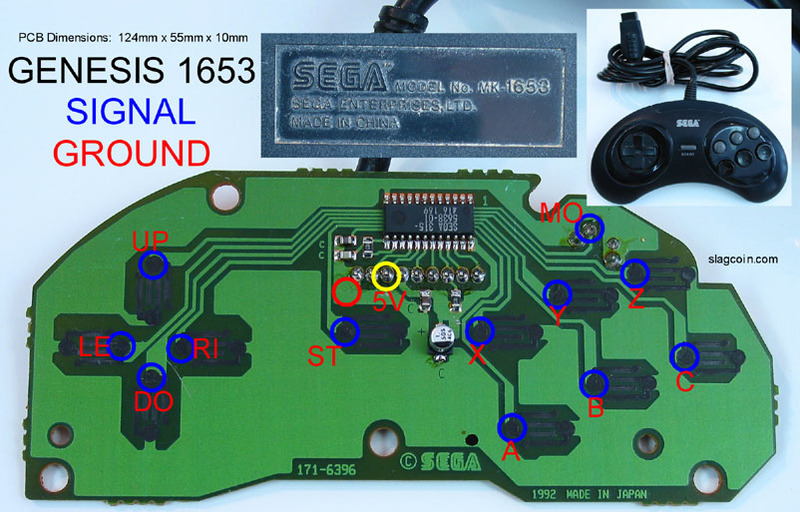 Ok step one is to either reverse engineer your joystick or find a wiring diagram, for this tutorial I will use the wiring diagram for the sega genesis controller, this also works for ATARI 2600/5800/etc, commodore 64, and similar 9 pin trapazoid controller plugs on various consoles. The thing to remember is that each of those traces goes to a pin on the connector for the controller, each button has a wire basically, and the parallel port will be interpreting that as data on multiple pins of said port and converting it to joystick inputs, this is very much old school but a good way to practice basic mods with little to no consequences. Also remember there are 2 types of controllers, the 3 button and 6 button gamepads, the number of pins in use will vary but the layout should be the same regardless. 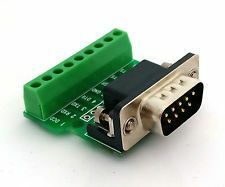 Also if you can find them... to save time on soldering and such look for DB9 and parallel port connectors like these. With those you just insert the wires and screw them in place removing the need to solder anything other than the diodes. Pins 3 through 9 are the diodes and all connect to DB9 pin 5. the rest should be attached as shown. The colored pins are the one's you'll be using. You'll also need a piece of software called PPJoy, this allows you to use the parallel port for joysticks and program them. 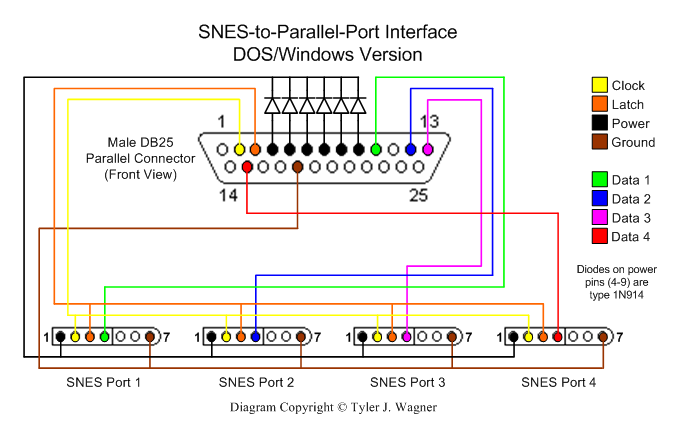 Follow this alternate pinout if you want to put 2 genesis controller ports instead of 1 on your adapter. Just run the wires as shown, the triangles being the diodes connecting the appropriate number socket on the DB9 port/'s to the DB25 connector. Do this correctly and install your driver and you should be able to just plug your joystick into the DB9 connector, run PPjoy and play whatever game. Windows will read this as a generic USB controller so any game that supports this should work, alternately find one that converts this into an Xbox 360 controller type device like key 2 joy for games that support only that controller. And that's all there really is to it, other controller adapters are similar, just be warned that this will take a few hours to do and patience is key! Modify instructions to suit whatever controller you're adapting, so far the following works that I've tried.